Heart-shaped cupcakes are great to show that you love. They are great for such events as Valentines’ Day or a wedding ceremony. 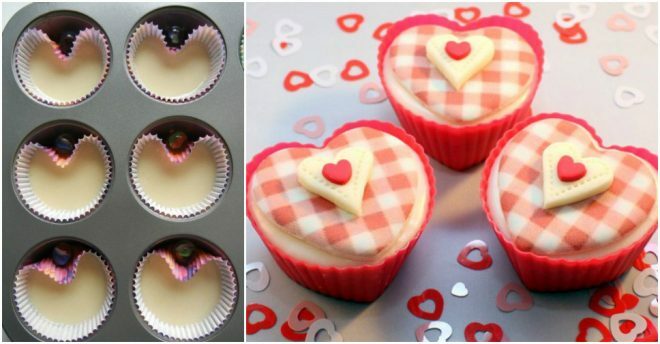 Making a heart-shaped cupcake is quite easy if you know this little hack. The trick is to pop a marble in between the gap of the cupcake liner and the tin. With this trick here, your cupcake will come out in a heart shape.